Join us as we Co-Create Healthy Communities and Perpetuate the Sharing and Celebration of Culture Worldwide! 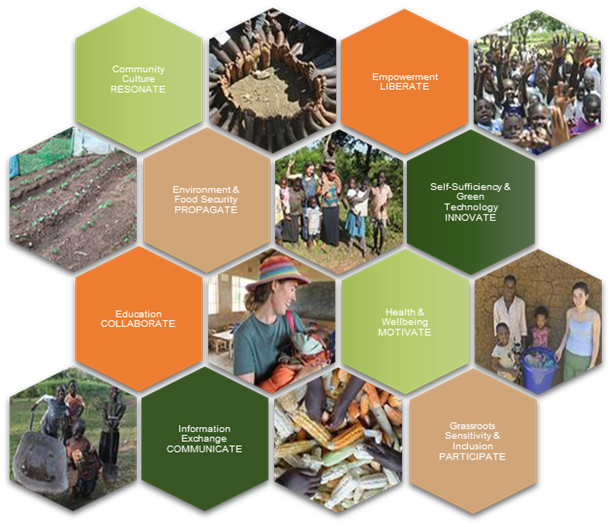 It is our mission to cultivate empowerment in action and engage experiential learning to co-create healthy and sustainable communities. 8 Interconnected project areas to CO-CREATE sustainable communities and PERPETUATE the sharing and celebration of culture worldwide. It is well known that millions of people in the world today suffer physical poverty – hunger, thirst, preventable diseases and mis-education – yet people of the ‘developed’ and ‘western’ worlds are beginning to realise that poverty of a different kind also exists in their societies. With stressful, ‘stuff-centered’ lives, consumption outweighs connection and people suffer cultural, emotional and spiritual poverty. Collectively we have the resources and technology to end global poverty but do we have the time and foresight to influence the epidemic of socio-cultural impoverishment? The CULTIV-8 initiative opens a space to address these human inequalities and builds bridges between peoples of different cultures to collectively cultivate a harmonious balance and opportunities for all. 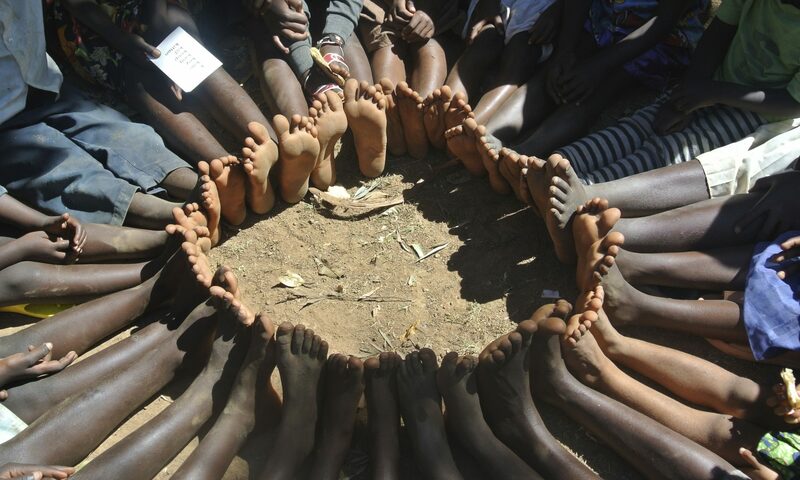 This directly supports our partner community in Nyangidi Village, KENYA, to build an empowered & self-sustainable community. You’ll be offering a unique learning experience that creates positive change in village communities. The CULTIV-8 initiative opens a space to address human inequalities and builds opportunities for all. 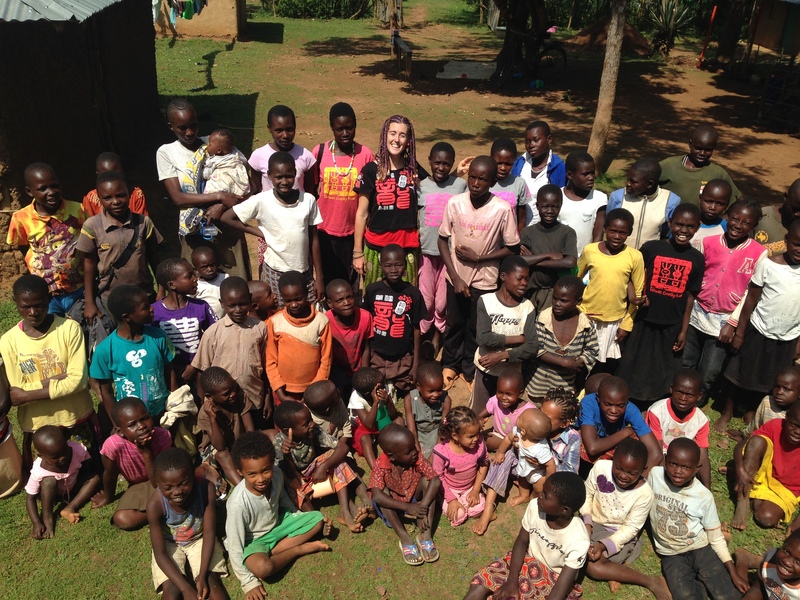 Sam with some of the Rafiki Pen Pal children in Nyangidi village.